You can find Unstuck on iTunes, Simplecast, or your favorite podcast venue. In Episode 6 of Unstuck I talk with Kaily Otten, a program director in the area of refugee resettlement at Catholic Charities in Charlotte, North Carolina. Let’s be honest. the topic of refugee resettlement is a sensitive one in our country today. Kailey does a great job of explaining the in’s and out’s of the process. You are going to love hearing her own story. I learned so much. I think you will, too. 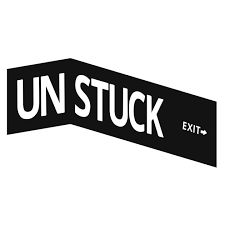 Unstuck is a podcast facilitated by Dr. Emily Stone, licensed marriage and family therapist, supervisor, professor, and ordained minister, where Emily and her guests have heart to heart conversations about areas of our lives where we tend to get stuck. Oh, and laugh. Emily loves to laugh and learn about people through their stories…so there is plenty of that going on, too.